Epic Tools & Training – EPIC Connections – Discover Your EPIC Code! Are You Ready to Accelerate Your Connections, Your Communication, Your People and Your Business Results? EACH OF OUR EPIC CONNECTIONS™ PRODUCTS IS DESIGNED TO DELIVER EPIC RESULTS, TRANSFORMING YOUR CONVERSATIONS, AND YOU, INTO AN EPIC COMMUNICATOR…CREATING GREATER SUCCESS. Results begin within 90 seconds as you Discover Your EPIC Code™ and continue as you commit your time and energy into the dynamics, integration and implementation of EPIC Connections Tools and EPIC Training. Your unique needs are our priority. If you don’t see a course that meets your needs, contact us about a customized one. The EPIC Joint Venture Partner™ program is designed for those who can provide relationship introductions to large groups. 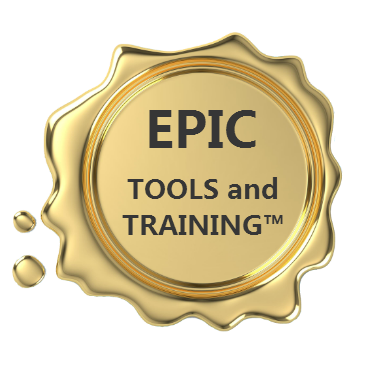 There is no pre-requisite for this, as you already understand and know your audience and whether or not our EPIC Tools and Training Solutions™ will fit with your team, group or organization.